As the 27th Asean Summit was held this past weekend, the top government leaders of Asean were gathered in Kuala Lumpur to discuss the most pressing issues to the region. The Summit also welcomed dialogue partners, including Australia’s Prime Minister Malcolm Turnbull, China’s Premier Li Keqiang, United States President Barack Obama, United Nations Secretary-general Ban Ki-moon, and others. In the aftermath of the Paris terror attacks and with the rise in Internet penetration in Asean, there was a lot to be discussed as to how the leaders can utilize tools, such as ICT, to protect and advance their nations. Malaysian Prime Minister Datuk Seri Najib Tun Razak met with US President Barack Obama on 20 Novmber to discuss the threat of terrorism. The two countries have agreed to work together as they find that they share similar views on counter terrorism. “This region is not immune to threats or violence. Malaysia’s stand on this is clear. We don’t condone IS, we are against IS and what it stands for,” stated Prime Minister Najib. Prime Minister Najib announced that Malaysia will set up a messaging centre to combat terrorism online. It would also work to provide counter narratives which demonstrate the ‘true’ meaning of Islam. President Obama commended Malaysia’s enthusiasm to host such a centre that would utilize tools such as social media and engage with scholars and clerics, all to counter the threat of ISIS. Through a more connected community, terror threats will be better fought against. Another topic raised during the summit was the improvement of integration across the region, so as to spur economic stimulation and meet the strategic measures in the ASEAN Community Vision 2025. Prime Minister Najib stated that he foresees the Asean community will become a force, comparable to that of the European Union. Through this, the subject of connectivity was brought up. The Asean Economic Community (AEC) seeks to create a solitary market and production base in Asean. This is to be included as one of the three pillars of the Asean Community which is to be formed within the next month. Prime Minister Najib cited a proposal for an Asean Business Card to enable professional travelers to travel within the region with ease. With respect to ICT, the recent ASEAN investment report reflected on ICT enabled value chains, ICT Infrastructure connectivity, and ICT impacts on regional connectivity. The rate of Internet users has more than doubled from 11.8 per 100 inhabitants in 2007 to 28.6 in 2014. This increasing demand for internet connectivity is doubled with the efforts of government to further integrate ICT into their public service delivery. Building a more connected community amongst the Asean region would create more opportunities for all citizens. 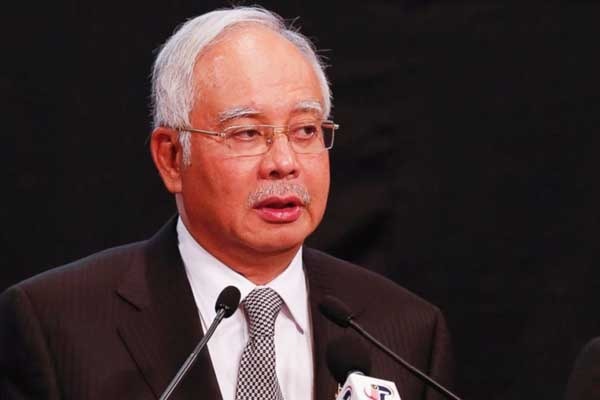 Prime Minister Najib insists that cultivating this sense of community and greater connection will help create a sense of belonging for Asean.